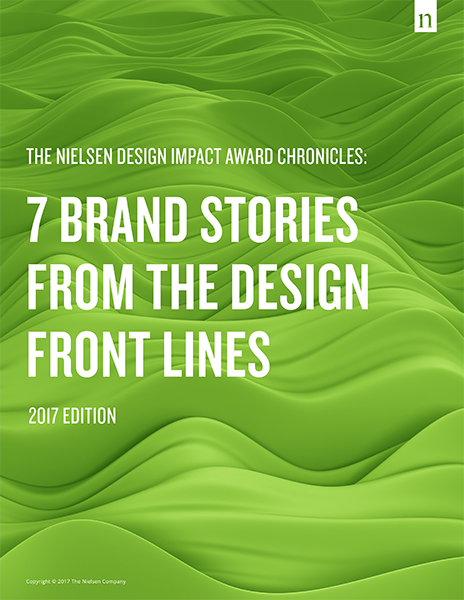 In 2017, Nielsen created The Nielsen Design Impact Award to highlight the considerable impact that effective package design can have, and to celebrate brands that are elevating the role of packaging in the marketing mix. This year's contest recognized seven seriously successful package redesigns in the fast-moving-consumer-goods space—ones that have helped to drive significant increases in brands’ bottom lines. They represent a wide range of business situations: a category giant in rapid decline, a timeless brand whose packaging had run out of time, an iconic favorite that embraced the upside, a niche brand that managed to win over the masses, and more. This compilation of in-depth interviews with the teams who worked on these award-winning initiatives offers rare insight into the creative process from beginning to end, along with best practices for all brands looking to maximize their return on package design.